The Fort Worth Mirror is a stunning piece. It features a round all mirrored frame. What makes it unique are the alternating clear and gray antiqued mirrored panels radiating from the central glass giving the piece a striped effect. 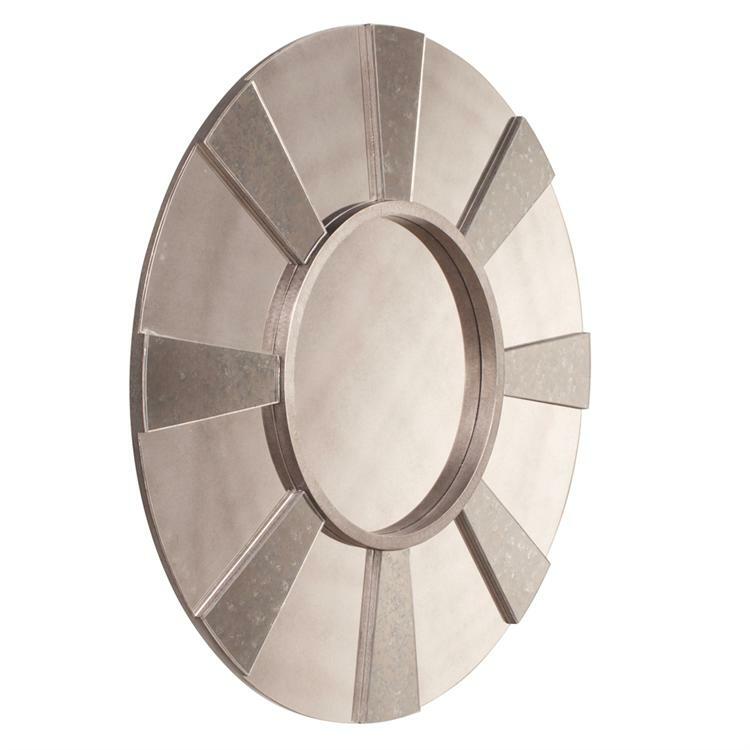 The Fort Worth Mirror is a perfect focal point for any design. The mirrored glass on this piece is NOT beveled. Customizable for larger orders.